There is much that is haunting about the story of Friedrich Nietzsche’s breakdown in Turin. 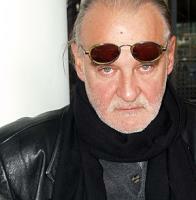 Hungarian film-maker Bela Tarr has said that he first heard the story from one of his regular collaborators, screenwriter Laszlo Krasznahorkai, as far back as 1985. Which means that there is a good chance that Krasznahorkai himself encountered it in Milan Kundera’s novel The Unbearable Lightness of Being, which first appeared in French, Polish and English the year before. If you can still remember The Unbearable Lightness of Being – the novel, not the embarrassing movie – then you might know that it opens with a consideration of Nietzsche’s theory of the eternal return or eternal recurrence, which has been seen as a kind of philosophical test: if you had to live every moment of your life over and over again, would you want to? The eternal return is “the heaviest of burdens”, Nietzsche said – from that, Kundera develops his big ideas about lightness and weight. Tereza keeps appearing before my eyes. I see her sitting on the stump petting Karenin’s head and ruminating on mankind’s debacles. Another image also comes to mind: Nietzsche leaving his hotel in Turin. Seeing a horse and a coachman beating it with a whip, Nietzsche went up to the horse and, before the coachman’s very eyes, put his arms around the horse’s neck and burst into tears. That took place in 1889, when Nietzsche too had removed himself from the world of people. In other words, it was at the time when his mental illness had just erupted. But for that very reason I feel his gesture has broad implications: Nietzsche was trying to apologise to the horse for Descartes. His lunacy (that is, his final break with mankind) began at the very moment he burst into tears over the horse. Are there other implications? For American philosophy professor Robert Rethy interviewed in 2006, Nietzsche’s actions had “a very significant connection to Nietzsche’s own philosophy … Nietzsche is a great critic of the morality of pity, as he calls it, and there’s Nietzsche himself breaking down under the weights of that pity.” Rethy’s view was that while some of us moralise in order to disguise our immorality, Nietzsche did the reverse – his stance of “immoralism only very imperfectly repressed his moral decency”, and this moral decency “could only express itself fully once he was mad”. You can wring a lot out of one strange, sad incident involving a German man on an Italian street more than 120 years ago. 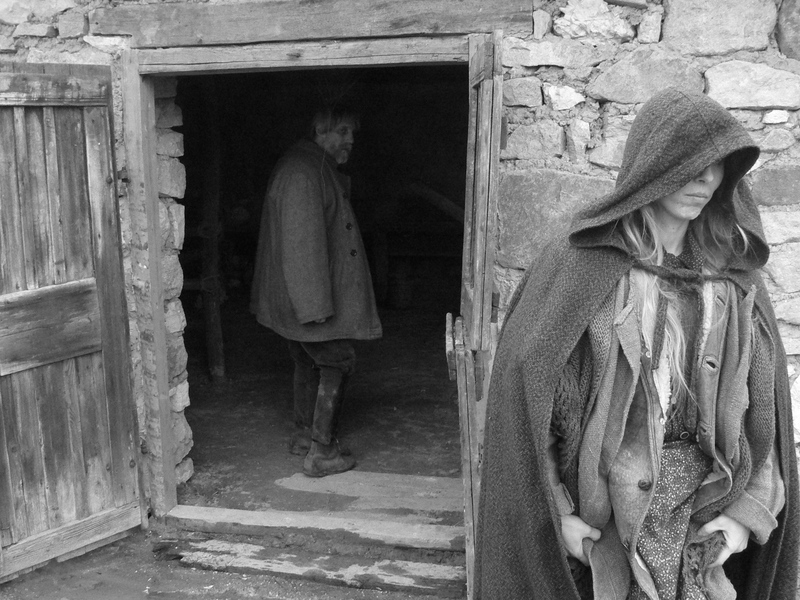 Bela Tarr’s new film The Turin Horse ( which he has said will be his last ) opens with a voice-over in Hungarian summarising the Nietzsche story: on January 3, 1889, Nietzsche steps out of the doorway of No 6 Via Carlo Alberto, intending to go for a stroll or maybe collect his mail. Then he sees the stubborn horse; its driver is whipping it and “foaming with rage”. Nietzsche brings the “brutal scene” to an end, throws his arms around the horse and sobs. His landlord takes him home and he lies silent and still on a bed for two days. He says, “Mutter, ich bin dumm” (“Mother, I am dumb”), is released into the care of his mother and sister, and lives for another ten years, “gentle and demented”. He never wrote another word. But,Tarr wonders, whatever happened to the horse? “Of the horse we know nothing”. At this stage, you might be thinking that Tarr (pictured left) and Laszlo Krasznahorkai are engaged in something similar to Robert Bresson in Au Hasard Balthazar: tracking an animal through the cruelties and humiliations of a short life spent in the service of humanity (“the entire world in an hour and a half,” Godard is reported to have said of the Bresson film). But it is not quite that; instead, the horse is just one corner of a disintegrating triangle. The voice-over is followed by a remarkable five minutes in which we see the horse driven by a grim, bearded man like a ship through a storm; this is all caught in one long, smooth take by cinematographer Fred Kelemen as mournful music rises and falls on the soundtrack and horse and driver battle a head-on, howling wind. Both look as though they are gripped or driven by guilt, or shame. There are no words in this scene; in fact, there are none for 20 minutes. The 140-minute-long film is broken into six sections: “The First Day”, “The Second Day”, and so on. Over the course of six days, darkness increases and hope slowly disappears. The wind howls incessantly. The elderly man and his adult daughter – the only human habitants – keep the emaciated, stubborn horse in a stable. The horse refuses to move and refuses to eat. There is painstaking attention to the repetition of dreary tasks: fetching water, dressing father, peeling and eating boiled potatoes by hand. The fluctuations of wind noise become a soundtrack, like the industrial ambience in Eraserhead. Nothing about the action – or lack of action – as described has much to do with Nietzsche, although there are two short scenes in which visitors regale them with what seem like versions of his ideas (the relativity of values, the failure of religion). There are no more than about 30 shots in all of The Turin Horse, a film so slow and patient it makes Bresson feel like Michael Bay (the shots average out at about five minutes long). It might even be Tarr’s most minimal film, in a career largely devoted to minimalism, although it is not his longest: active since the 1970s, Tarr made his name internationally with the seven-hour-long Satantango in 1994. There have been just two other films since — Werckmeister Harmonies and The Man from London. 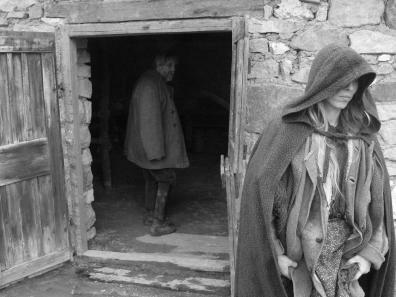 Neither is quite as lugubrious as The Turin Horse – no surprise, as Tarr has said that the new film is concerned with nothing less than “the heaviness of human existence … the monotony of life”. The traces of black comedy that could be found in Satantango and Werckmeister Harmonies have almost completely vanished. But what makes such heaviness bearable, even pleasurable — to the viewer, at least? Partly it is the unusual relationship with time that such films give you. In the west, Tarr’s greatest influence has been on Gus Van Sant – his loose trilogy of Gerry, Elephant and Last Days, with their long, unbroken takes and relative obscurity of motivation and character. In Elephant and Last Days, Van Sant was doing something different with time than Tarr – he was folding it, looping it – but the idea of going through tedium and into some other, clearer form of observation, finding a fresh cinematic language, came from Tarr. And just as such slowness is not boring, it need not be depressing, either — sometimes, it can border on the transcendent, or even the mystical, as in Carlos Reygadas’ Silent Light or films by Apichatpong Weerasethakul). Slow cinema will always be a tough commercial ask, though, and has no life beyond the festival circuit, film societies and specialist DVD outlets. Most Tarr interviews that we read in the West contain a moment in which Tarr talks painfully about the sheer difficulty of fundraising. It’s not hard to see the physically draining tasks depicted in The Turin Horse as analogous to the trials of going on in the cinema business, year after year. The horse won’t budge and the well is dry? These film-makers known how that feels. Long movies — among my favourites is Bela Tarr’s seven-hour Satantango — take time away even as they restore a sense of duration, of time and life passing, that most movies try to obscure through continuity editing. Faced with duration not distraction, your mind may wander, but there’s no need for panic: it will come back. In wandering there can be revelation as you meditate, trance out, bliss out, luxuriate in your thoughts, think. Not all austere movies are good, but viewers who want to expand their cinematic horizons should consider the possibility of learning to look at certain movies differently. Kois can’t see that; he thinks that people who like the movies that bore him are usually phonies. But I believe that some of those admirers have developed a repertory of viewing habits that adjust to different cinematic traditions. If you can like both Stravinsky and rock and roll, why can’t you like Hou [Hsiao-hsien] and Spielberg? Sophie Fiennes’ Over Your Cities Grass Will Grow is an art documentary that seems to take direction from that tradition of slow and austere cinema, and not just in the way that shots are set up and edited, but also in terms of the information the film-maker chooses to include and that which she chooses to omit. 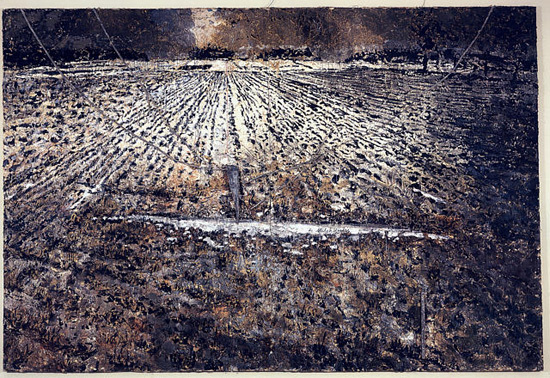 Her subject is the German painter Anselm Kiefer, who left Germany for France in 1993, setting up in a derelict silk factory. In the two decades since, Kiefer has added buildings, towers, tunnels, bridges and an amphitheatre. – the first and only time I have seen a Kiefer in the flesh. The train tracks, the ravaged and empty landscape – to just what could Kiefer be alluding? Giant paintings are shifted by crane; Kiefer and his assistants are dwarfed by their own processes. The artist directs his assistants just as he directs diggers working on tunnels and excavations. Fiennes’ camera keeps a polite distance and the closest thing to an interaction comes during an observed interview with a German journalist. So you gradually become conscious of all that Fiennes is leaving out. There is no communication with a wider world: there are no dealers, no collectors, no gallery openings, none of what might be called “the art world”. Art biopics and docos almost invariably include scenes of an artist and his or her public, those moments when the work is being received – think of key scenes in films like Basquiat, Frida and Pollock, and particularly last year’s Banksy film Exit Through the Gift Shop, which was almost entirely about audience and reception. But the public is missing from the Kiefer film, as are personal details or domestic scenes. It comes as a shock to glimpse two small children in the Kiefer compound — they may be his sons or they may be his grandsons. 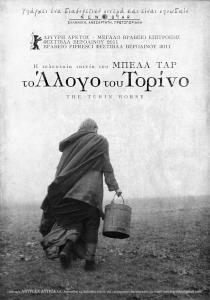 The Turin Horse and Over Your Cities Grass Will Grow both appear in the New Zealand International Film Festival in Wellington: nzff.co.nz.